I woke up with a healthy mix of excitement and nerves about todays plan. My CCS partner-in-crime had gotten in touch with the owner of a budget/low-cost private school who was willing to meet with us and discuss the closure notices that have been issued in Delhi. We set the meeting for 12, so I went into the CCS offices before the meeting to go over my questions and prep. Classic developing world…we didn’t actually leave for the school until just after we were scheduled to meet. 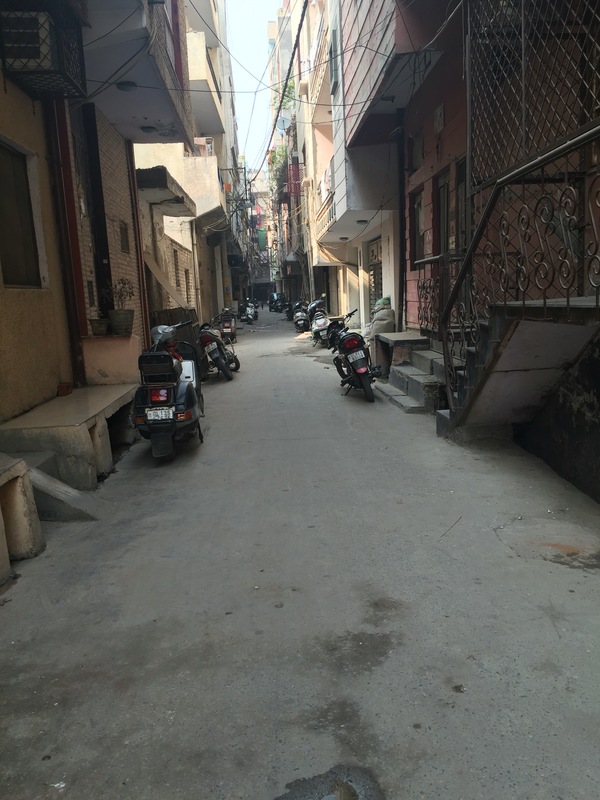 It was on the outskirts of Old Delhi so we had a long trip to get out there. Once we got off our stop on the metro’s red line, we had to ask several auto drivers for directions, none of whom seemed to have any idea where we needed to go. After several close calls with bike rickshaws we got in, and promptly out, of one auto after the driver decided he really didn’t know where we were going, we finally found a man who thought he knew the place! En route to the school we had a minor accident. Our auto turned right directly into a speeding motorcycle. The motorcycle seemed ok, just some minor scuffs. If I spoke Hindi, I am sure I would have been privy to some choice expletives being exchanged between the two drivers. 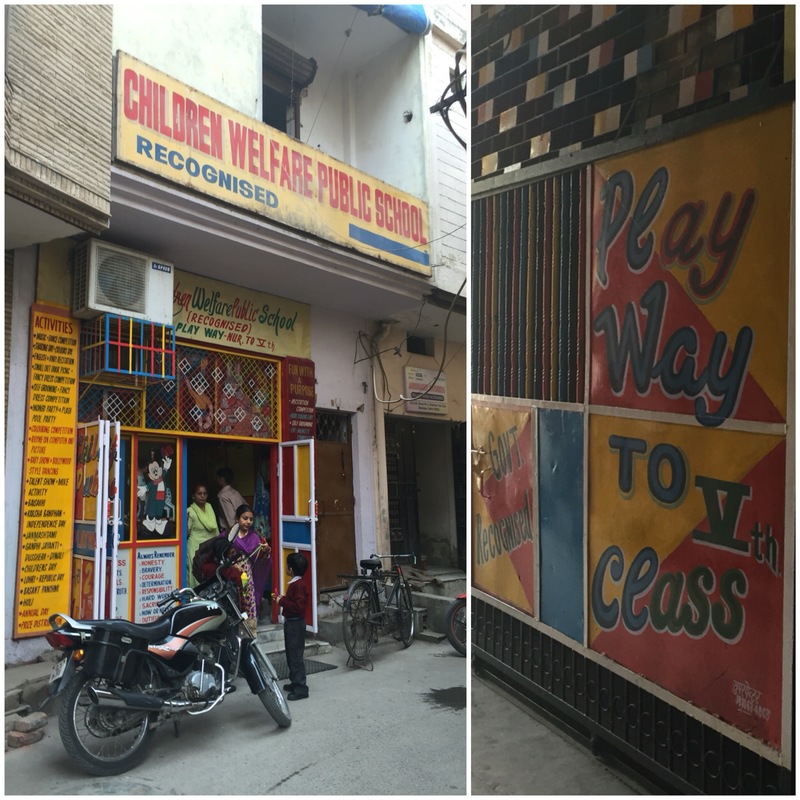 We finally arrived to the Children Welfare Public School, which is recognized by the Delhi and Indian government. The name is a bit misleading, but this is indeed a budget private school managed by an edupreneur and politician who was more than willing to talk with us for almost two hours. Once the conversation began, we found out that he had not actually received a school closure notice from the Delhi government, instead his recognition was running out on 31 March and the government had said they would not be renewing it. There are a lot of varying opinions and issues at play here, too many for one blog post. I’ll try to explain in more detail in a later post, but you’re welcome to read my research paper when it’s finished ;). Initially, my small scale research project was going to be looking into the closure notices, but the closer we get to the end of our time here, I think that may have to be adjusted. The manager gave me some really great information to work with, but since we most of the other schools have been unresponsive, it may have to be a case study of this one school. I joked with the researcher from CCS that my new motto for India is “I’ll make it work!” since that seems to be what we keep having to do. Funny enough she responded, “That is exactly what we say at CCS all the time”. So at least I’m in good company! The manager offered a few contacts of other schools that we called hoping to set up some meetings for tomorrow. So far none have responded with the ok, so we’ll follow up this evening and hopefully be able to get at least one more budget private school in before the weekend!